It's Valentine's Day in Tinker's Cove. 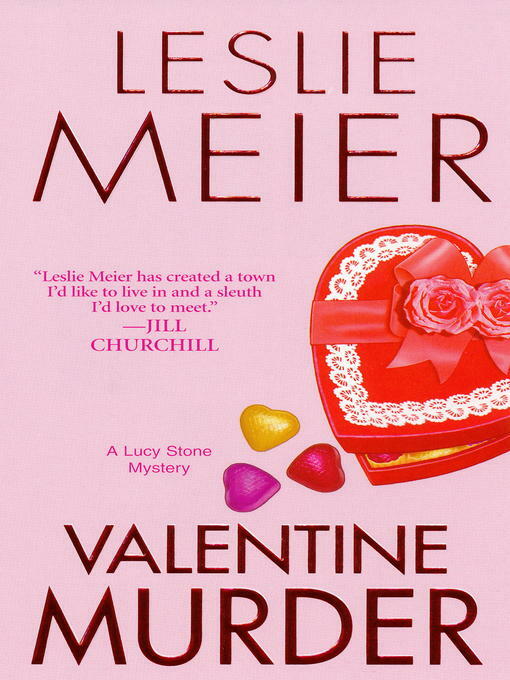 And while the cupcakes Lucy Stone is baking for her children will have pink frosting and candy hearts, Lucy's thoughts aren't centered on sugary sentiments. She's barely arrived at her first board meeting of the newly-renovated library when Bitsy Howell, the new librarian, is found dead in the basement, shot only minutes before story hour was to start. The agitated board members assume that Bitsy was killed by an outsider, until Detective Lt. Horowitz arrives on the scene and announces that the killer is among them. Lucy was already aware that Bitsy's uppity big city ways rubbed some people in Tinker's Cove the wrong way. But she has a hunch that motives for the librarian's violent death run a lot deeper. From Hayden Norcross's elegant antique shop to Corney Clark's chic kitchen, Lucy relentlessly snoops into the curious lifestyles and shocking secrets of Tinker's Cove's most solid citizens—secrets that will plunge her into a terrifying confrontation with a conniving killer. . .